This study grew out of a larger project, being conducted jointly by the Judicial Commission and the Department of Juvenile Justice, which is seeking to examine what impact on sentencing, if any, has the ethnic background of a juvenile offender. The present study, in many ways a pilot to this larger study, seeks to determine whether the specialist Children’s Courts unjustly discriminate on the basis of the gender of the offender in the exercise of their sentencing discretion. The sample of cases in this study was derived by matching decisions handed down by the New South Wales specialist Children’s Courts during the period January–December 1995. In total, 364 cases were selected, consisting of 182 pairs of male and female juveniles. Each of these pairs were matched by reference to the following variables: type of offence; age; plea; number of counts; criminal history; bail status; court; and type of case. This then enabled the gender variables to be analysed in the light of the sentencing outcomes in order to determine whether there was evidence of any unjustified disparities in the penalties imposed. There were no significant gender-based differences in the type of penalty imposed. When penalties were ranked, taking into account the duration/amount of sentences as well as the type, there were still no statistically significant gender-based differences. Seven juveniles received a control order and, of those, six were male; however this only represented 1.9% of the entire sample. A similar number of male and female juvenile offenders were fined. Although not statistically significant, male juvenile offenders tended to be fined more severely than female juvenile offenders (a median of $150 versus $100). However, male juvenile offenders were also more likely to be employed. While convictions were recorded in less than one-third of cases (28%), male juvenile offenders were more likely than female juvenile offenders to have a conviction recorded (33.5% versus 22.5%). Male juvenile offenders were more likely to have a principal or co-principal role in the offence, while female juvenile offenders were more likely to have only an assisting role, particularly with motor vehicle theft. 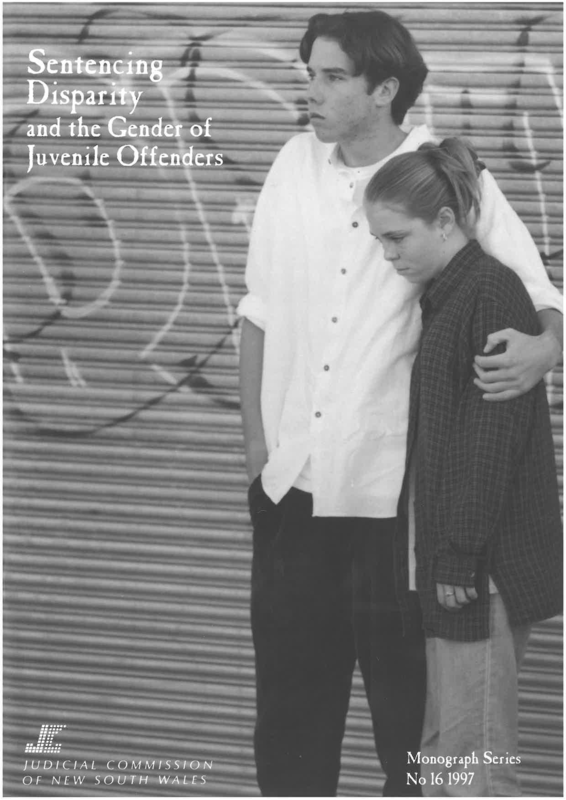 Although not statistically significant, male juvenile offenders had more matters dealt with at appearances than female juvenile offenders (a median of two additional matters, compared with one for female juvenile offenders). Background reports were requested in one-fifth of cases but more commonly for male juvenile offenders than female juvenile offenders (26.7% versus 17.7%). Of those juveniles with any prior convictions, males were more likely than females to have more than one previous proven appearance (70% versus 43.1%).